The 2018 Grand Prix is postponed due to a barricade shortage. Please stay tuned for announcements about future events! 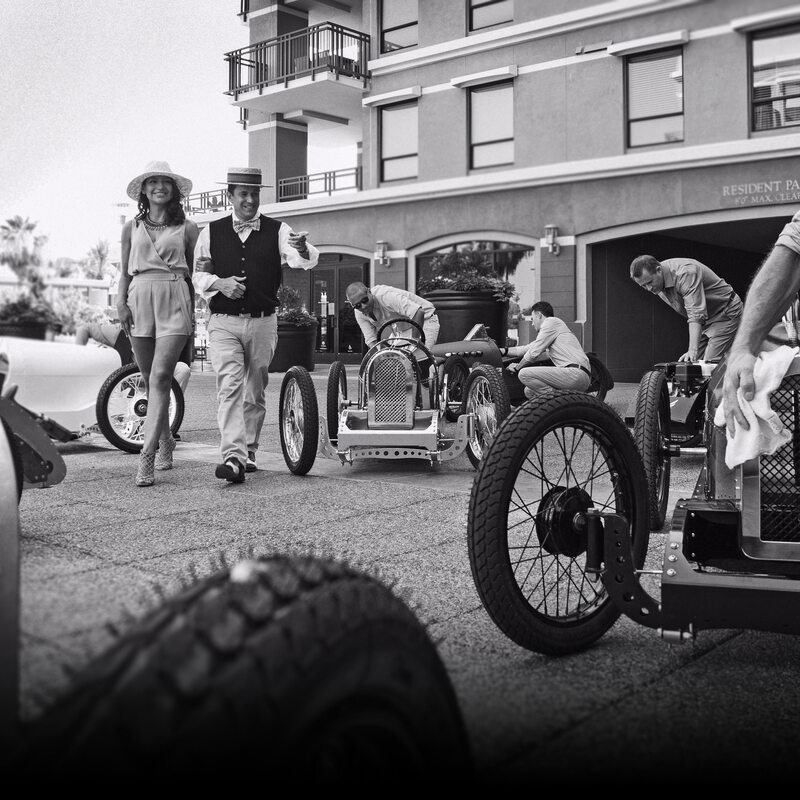 their legacy of craftsmanship and the ladies and gentlemen who aspired to drive them. Step back in time to the 1920s at this VIP evening event. Attendees will enjoy live Jazz Age music, dancing, gaming, complimentary cocktails and passed hors d’oeuvres. Come and enjoy daytime 1920s Gatsby-themed cocktail, champagne & beer gardens while listening to Jazz Age music. The Concours includes a variety of Racers, locally made by Vintage Kart Company, for your enjoyment. The 4th Annual Grand Prix of Scottsdale has been postponed due to a barricade shortage. Please stay tuned for news about future events! During past Grand Prixs, racing teams, spectators and participants took a step back in time with the Grand Prix of Scottsdale’s 1920s theme that featured an opening night Gatsby Under the Stars Gala, Gatsby Garden Parties & Strolling Fun, a Kids Zone and Sunday's main event Grand Prix of Scottsdale with Vintage Victory Winner’s Circle closing ceremonies. Stay tuned for news about future events! For 35 years, Southwest Human Development has created a solid foundation for Arizona’s children and their families. The agency serves 135,000 children and their families annually, gives away 180,000+ children’s books through early literacy programs and changes the lives of young children through more than 40 programs. Our investments in early childhood are paving the way for Arizona’s future. 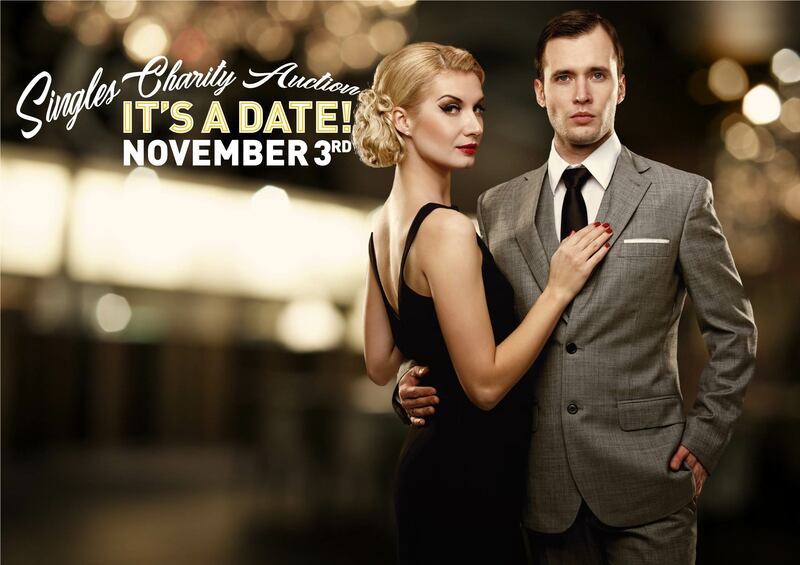 It's A Date Singles Auction was created to support the Care Fund, a local organization that financially and resourcefully supports Arizona families who endure financial hardship while experiencing extended illness or injury of their children. Click on our chat tool to ask a question right now! Click here for Experience Scottsdale — your vacation planning and information source.